Having an amazing outdoor space with luxury features will make going into your backyard enjoyable and exciting. Having guests over to see your backyard and being able to have a great space to entertain can change your life. In this article, we are going to talk about luxury features for your backyard that will blow your mind. If you are thinking about the best luxury features for your yard these luxury features are going to pique your interest and you might find yourself adding some of these to your wish list. Having an outdoor kitchen is one of the top luxury features you can have at your home. Who wants to be inside away from your poolside guests cooking when you can have a luxurious kitchen outside where everyone is able to gather around and you can still be part of the conversation? You can choose the type of kitchen you want to be installed and make it as stylish or rustic as you would like it to be. Think of the choices. Terracotta, granite and more. Some features to add to your outdoor kitchen are a built-in BBQ as well as a woodfired oven. 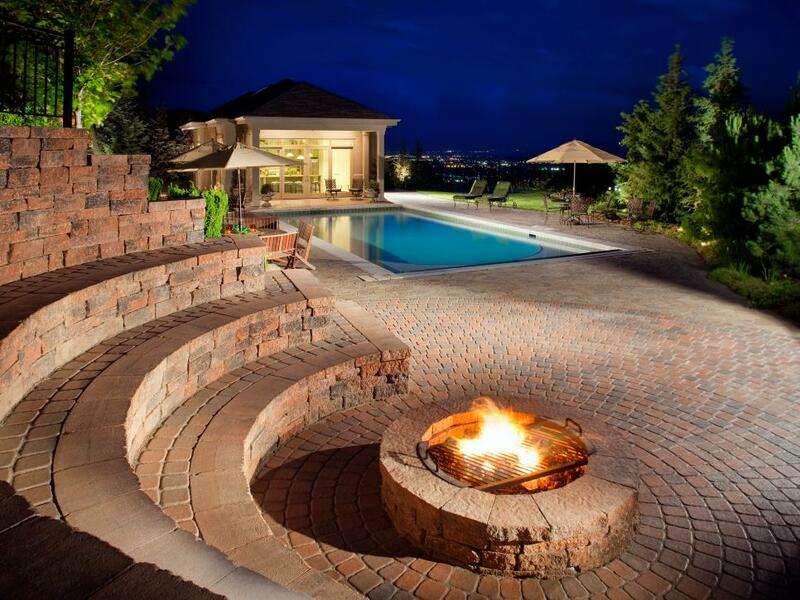 Fire pits can become a focal point for entertaining. It’s very much like sitting around your fireplace inside. You can gather around, eat, drink, talk and socialize. You can even blend your firepit in with your surroundings if you don’t want it to stick out. If you have a pool, you make want it to be the focal point of your yard. If you want a wood fit pit, you can also go with this option. Is your home on the waterfront? If you are, you can get a custom built dock put on your land to make it even more attractive and easy to access to your boat. Don’t hinder your view with small windows, you can get bi-folding doors so that you can see for a long distance and have plenty of line of sight to the water. An infinity pool would be a great installation when you have the water to view from the pool. If you are in an area that makes it difficult to be outside all of the time, you might want to look into pool enclosures or garden rooms. This will allow you to feel like you are outside more, but you aren’t going to have to deal with the freezing cold weather. When you have a room like this, you can put plenty of beautiful plants inside to make yourself feel like you are outdoors enjoying a nice swim, even when it is cold. Adding all of these luxury features to your backyard can make for an enchanting space. If you haven’t added a pool, this is the most beautiful of luxury features so make sure to give us a call so we can help you get started with your pool project.